The e-STUDIO5506AC/7506AC are high-end colour MFPs tha t boast a colour printing output 55/75 ppm. The series are integrating newly-engineered software and hardware advancements including an enhanced user interface, embedded application platform, advanced cloud and mobile printing capabilities, a new processor, and an outstanding Dual Scan Document Feeder (DSDF) within a stylish, yet durable body. 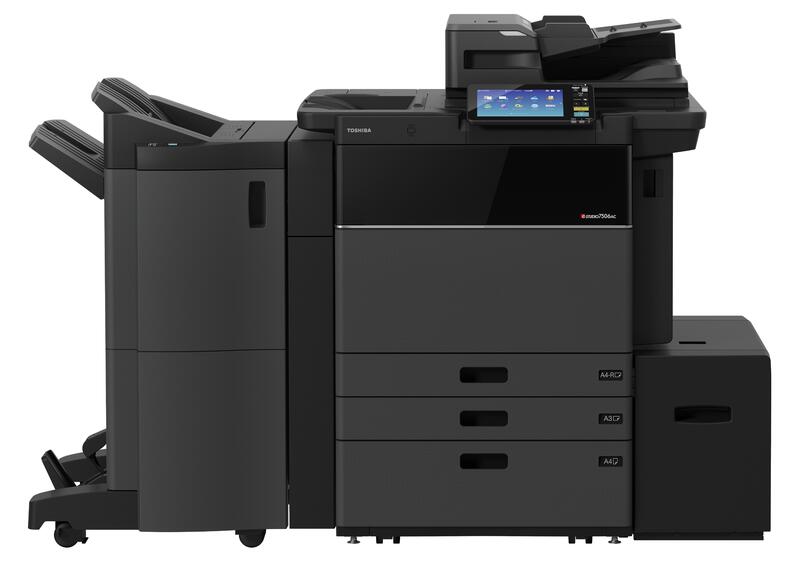 In addition to delivering up to 75 ppm brilliant color & black and white pages per minute, the new e-STUDIO 7506AC provides increased security, connectivity, energy savings, and solutions readiness.